Disclosure: This is a sponsored post, in conjunction with Ziploc® and The Huffington Post. I received compensation for participating in this promotion. My kids love making things. If you walk around our house you see drawings, and crafts everywhere. In fact, just this past weekend they made art on each others faces. They came down and my son looked like Uncle Leo from Seinfeld when Elaine draws the angry eyebrows on his face. My daughter looked like, well, we just won't go there. If you are a parent and your kids have ever gotten into makeup, you know what I'm talking about. Anyway, this week we decided to combine our lunches with a craft. 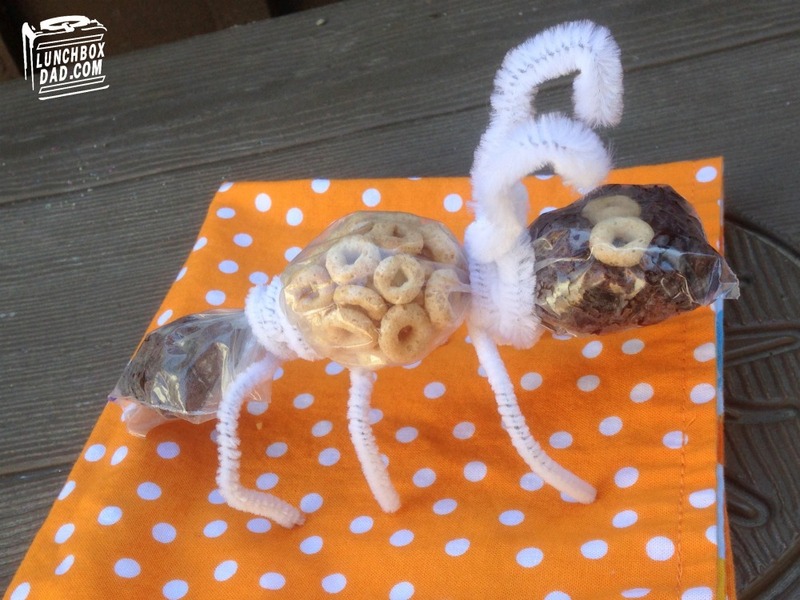 This ant was so fun to make and all you need is a Ziploc® Snack Bag and some pipe cleaners. 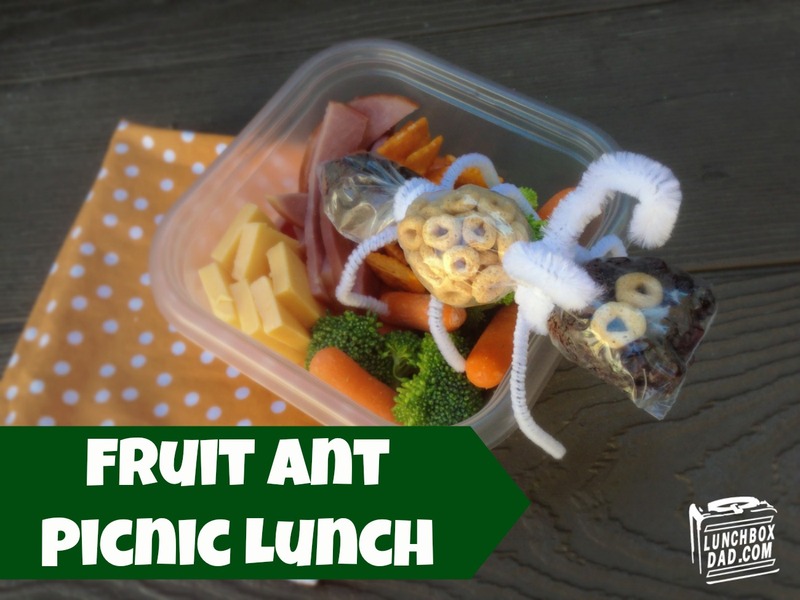 You can fill a reusable container with whatever picnic type food you want so I am going to focus on telling you how to make the fruit ant in this recipe. 1. Fill one corner of the Ziploc® bag with raisins or other similar dried fruit. Make sure the bag opening is folded to the bottom. Put two pieces of cereal on top of fruit for eyes. When pipe cleaner is used, it will hold eyes in place. 2. Wrap pipe cleaner tightly around bag to seal of fruit from rest of bag. Make sure to leave extra on both ends for legs. 3. Fill next part of bag with cereal. Wrap another pipe cleaner around bag, repeating step number two. 4. Fill last part with dried fruit. Seal bag completely and make sure top is folded under the ant. Wrap another pipe cleaner around the back for the third set of legs. Wrap one more pipe cleaner around the front to make the antenna. 5. Form pipe cleaners into leg and antenna shapes and your ant is finished!